It’s cake again. And it’s cheesecake… again. However, this time it is vegan baked cheesecake as it’s winter after all and baking just seems a better idea. 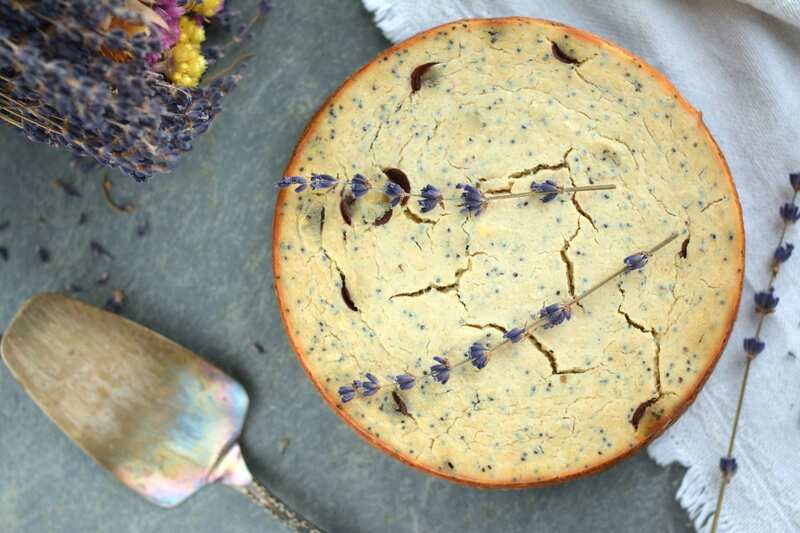 The story behind this vegan baked cheesecake goes like this – there was a huge vegan fair in Tallinn in the beginning of November where I found a great local organic company Loodusvägi (the power of nature) that, among other items, sells awesome tofus. 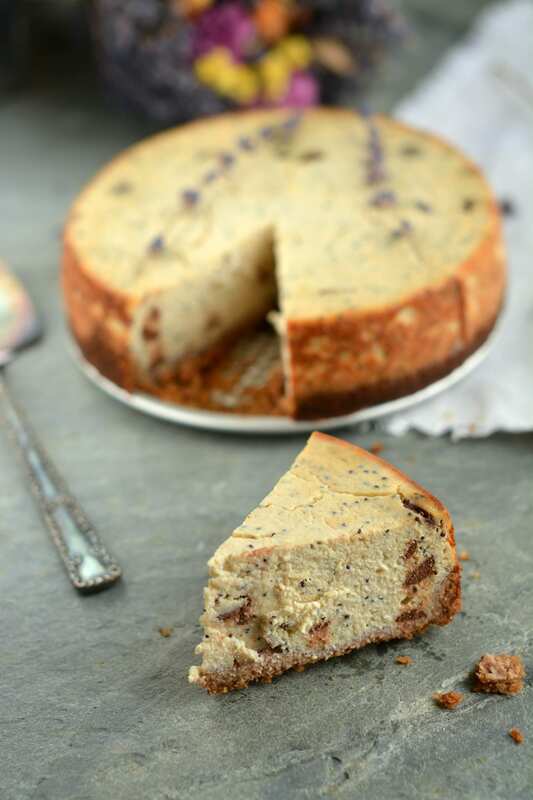 I instantly thought that their unflavoured tofu calls for a baked cheesecake and I was right – it blends into so deliciously rich and hearty ricotta that it’s hard not to eat it right out of the blender. So, I baked the first vegan cheesecake without crust and it worked out very well, but I figured it’d look more impressive and festive with a crust, so I went for a lighter version made of oat bran, walnuts and juicy dates. As always I keep my cakes oil-free and refined sugar free. I sweetened the filling with xylitol because I’m on vegan Candida diet, but you can use any sweetener you like including juicy dates. There are only 3 dates in the crust, so I figured I’d try eating it. Luckily I was fine and didn’t experience any Candida symptoms. 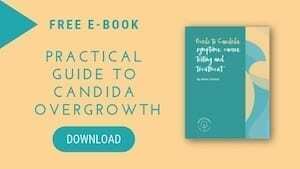 However, should you be in the first stages of Candida diet, replace the dates with xylitol or stevia and add a tablespoon of plant-based milk to moist the crust batter. 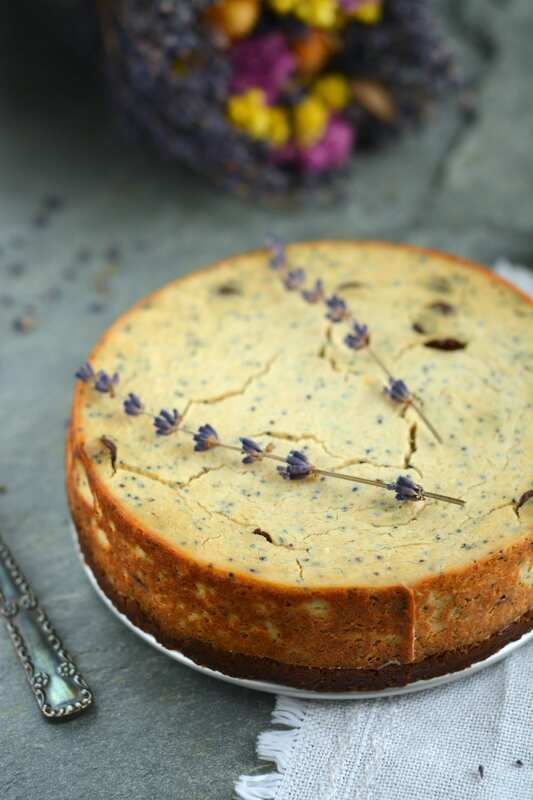 Next, I added some poppy seeds and dark chocolate buttons (sweetened with xylitol) to give my vegan baked cheesecake more character and used psyllium husk to firm it up. Besides my own family, I tested the cake on my in-laws who found it delicious. For my mother-in-law the sweetness was just right, but my father-in-law said that maybe it could be a little bit sweeter. I’d suggest making a sweeter sauce to go with the cake – fruit puree or chocolate sauce made of dates, water and raw cacao. 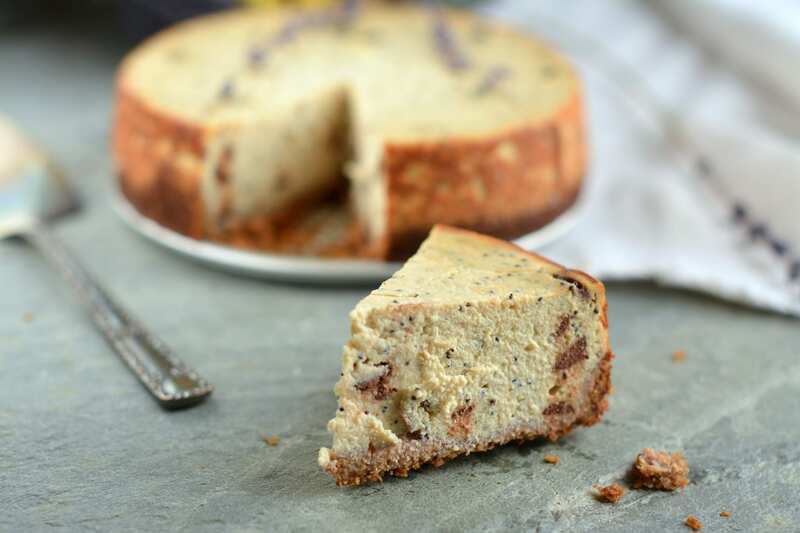 It’s a good way to go if you are making the cake for a crowd with different preferences – the ones who prefer it sweeter can add the sauce and the ones who prefer milder tastes can enjoy the flavour and texture of the awesome tofu as well. 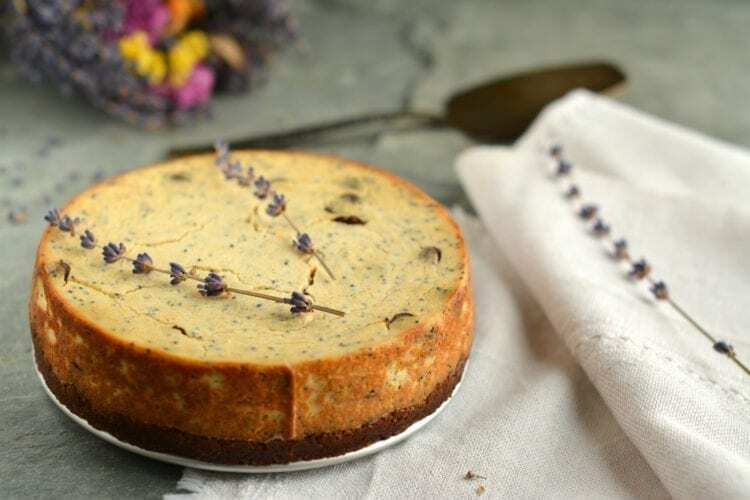 My vegan baked cheesecake is plant-based, refined sugar free, gluten-free (if you tolerate the avenin in oat bran), oil-free and dairy-free, but absolutely delicious! Soak walnuts for 4 hours. Combine soaked nuts, salt and oat bran in food processor and process until fine crumbs and the ingredients start to stick together. Add dates and process again until everything is well combined and the batter sticks together when pressed between fingers. While the crust is baking, cut the tofu into small cubes and combine all filling ingredients (except poppy seeds and chocolate) in a blender. Process until homogeneous and silky batter forms. Taste and add more of sweetener, if you feel like it is not sweet enough for you. Finally mix in poppy seeds and chocolate buttons. Pour the filling onto crust and bake in 175 C (350 F) oven for 45-50 minutes until the cake starts to turn golden. Let cool completely. It’d be ideal to let it sit in fridge for a couple of hours after it has cooled down. If you don’t have time to soak the walnuts, add 1-2 tbsps. of plant-based milk or water for moistness. Use 6 juicy dates (or more) to sweeten the filling, if you are not on Candida diet. 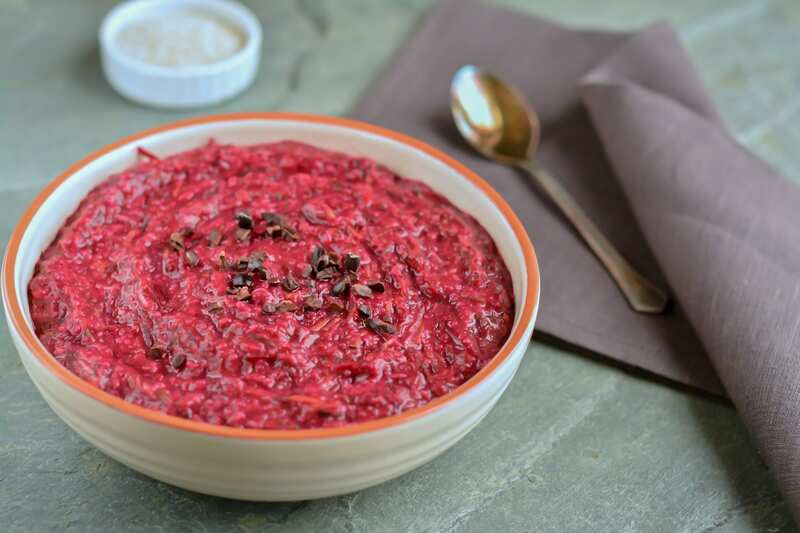 Prepare a sauce to go with the cake – fruit puree (mango, strawberry, banana-berry) or chocolate sauce made of dates, water and raw cacao (blend ½ cup juicy dates or soaked dried dates, 1 ½ tbsps. raw cacao, pinch of salt and as much water as needed for desired consistency). What kind of camera do you use? Your pictures are stunning! Thank you so much for the kind words! I’m so glad you like it — definitely try it out! Hello! Do you think there was a way to substitute the psyllium husk? Maybe ground chia? And also is the tofu firm or silken? Thank you for what looks like an awesome vegan recipe! It is hard/firm tofu (ricotta-like, not the jelly-like tofu). Instead of psyllium husk you could also use oat bran or any type of flour as psyllium works as thickening agent not as binder in this recipe. Hi! Just wondering if you used whole psyllium husks or powdered. I haven’t used either one before but I did just buy the powder and I don’t want to ruin the recipe by using the wrong amount. Thanks! I used husks. I suggest you use the same weight. 1 tbsp. of husks weighs 5 grams, so use the same amount of powder, i.e. 5 grams. Happy baking! Hi, just wondering what the use is of the lemon juice here? The taste 🙂 You can ditch it if you don’t like lemony taste. this looks delicious. I bought all of the ingredients at the super today to make this, but I just realized that I didn’t get oat bran. Do you think that I can use processed rolled oats instead or would you recommend replacing the oat bran with something else? Yes, you can substitute oat bran with rolled oats! Happy baking!